The final battle is begun! 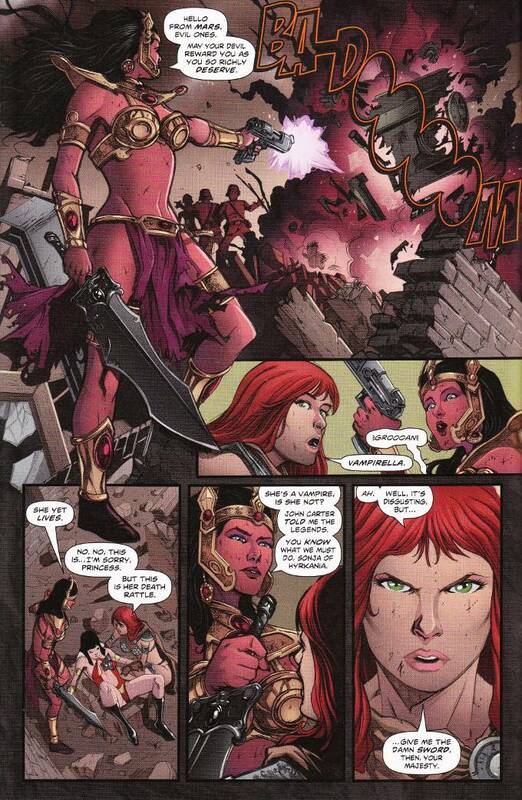 And as the Traveller and her chosen defend themselves against an army of the dreadful Shard-Men, the trio of Red Sonja, Dejah Thoris and Vampirella move to strike down Prince Charming himself. But how will the prophecy be fulfilled when a cowardly attack by Purgatori sees Vampirella staked and near death?! Sergio Davila's artwork on this series has been nothing short of phenomenal. Given that many of the heroines involved in this series were born of the 1990's bad-girl movement and served little purpose other than providing wanking material for boys too young to buy Penthouse, it is gratifying to see them rendered with realistic proportions. The action flows smoothly and their are no impossible poses or Escher-Spines to be had! 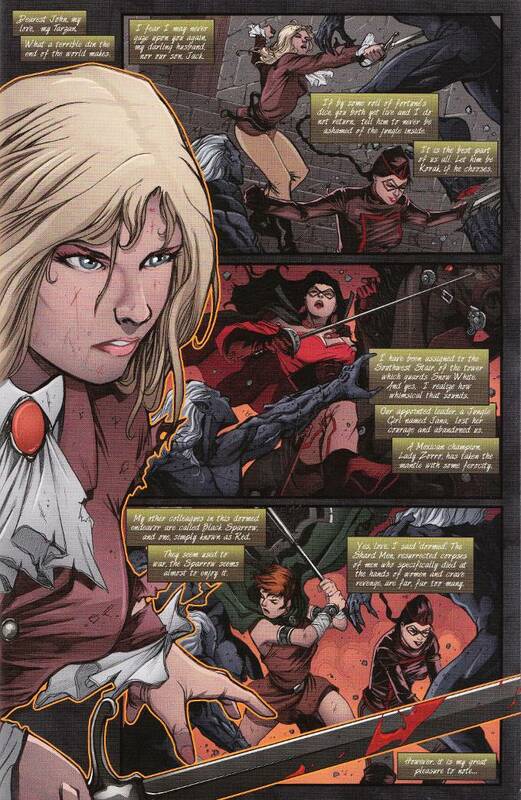 I must say with all honesty that this final chapter of Swords of Sorrow is not Gail Simone's greatest work. Simone is wildly successful in keeping the plot moving and tries to give all of the large cast of characters at least a panel or two to showcase their skills. But I fear that it is all too much, too quickly. Had this been a 12-issue mini-series rather than a 6-issue one, maybe it could have handled the sheer scope of what Simone has tried to convey. In the end, I think this series - much like the original Secret Wars - will be remembered for what it set-up rather than for the story that it told. But that is not a bad thing when what it sets-up is a shared universe that will allow other writers to freely team these heroines in the future.